Chiranjeevi was an undisputed king of Telugu cinema for nearly 2 decades. He lost his charm and majority of the fan base due to his political career. Everyone knew that Chiranjeevi wanted to become a Chief Minister in no time and that is the reason why he merged PRP into Congress. Keeping all these things aside, Mega fans are eagerly waiting for the 150th film of Chiranjeevi. People close to the Megastar are also checking out for the perfect script that suits Chiru. 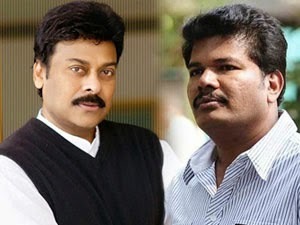 Mega Camp has revealed that Chiranjeevi wanted Shankar to direct his 150th film. This ‘I’ director has already declined the offer long back, but Chiranjeevi has been irritating him and still trying to convince him to do a Telugu film. Buzz says this is one of the reasons why Shankar didn’t want Chiranjeevi to present at the ‘I’ audio launch.